Evelyn Underhill was born at Wolverhampton on December 6, 1875, the only child of (Sir) Arthur Underhill, a barrister and writer on legal subjects, and a bencher of Lincoln's Inn. Her mother was Alice Lucy Underhill, younger daughter of Moses Ironmonger, justice of the peace of Wolverhampton. Apart from three years at a private school in Folkestone, she was educated at home. She later studied at King's College for Women, London, where she read history and botany. She also became a very skilled bookbinder. During her youth and the greater part of her married life her holidays were spent yachting; both her father and her husband were enthusiastic yachtsmen. From 1898 to 1913 she went abroad every spring and came to know and love the artistic treasures of France and Italy. Evelyn Underhill began writing before she was sixteen and her first publication, A Bar-Lamb's Ballad Book, of humorous verse concerned with the law, appeared in 1902. In 1907 she married Hubert Stuart Moore, a barrister, whom she had known since childhood. They had many interests in common including a love of country life and country lore, and also a love of cats. She shared her husband's interest in wood and metal work and drafted many of the designs which he carried out. After wrestling with the Christian faith for many years, she was finally converted the same year she was married. Her conversion was initially to the Roman Catholic Church, but she eventually became a devout Anglican of the Anglo-Catholic persuasion. In the process of publishing her first important book, Mysticism (1911), she made the acquaintance of Baron Friedrich von Hugel, of whom she wrote, "under God, I owe... my whole spiritual life." He eventually became her mentor and spiritual director, and she remained his pupil until his death in 1925. From the time of her conversion Evelyn Underhill's life consisted of various forms of religious work. She was fond of quoting St. Teresa's saying that "to give Our Lord a perfect service Martha and Mary must combine." Her mornings were given to writing and her afternoons to visiting the poor and to the direction of souls. As she grew older the work of direction increased until it finally became her chief interest. In 1921 she became a practising member of the Church of England. The primary reason for this change seems to have been that she felt that the dogmas of Roman Catholicism quenched both the intellect as well as personal freedom in spiritual matters. That same year, she gave the Upton lectures on religion at Manchester College, Oxford, later published under the title The Life of the Spirit and the Life of Today (1922). While working on Worship (1936), writtten for the Library of Constructive Theology, she became deeply interested in the Greek Orthodox Church and joined the Fellowship of St. Alban and St. Sergius. In 1924 she began to conduct retreats, and a number of her books consist of these conferences. Her other publications include three novels, two books of verse, a number of works on philosophy and religion, and various editions of, and critical essays on, mystics such as Walter Hilton and Jan van Ruysbroeck. She also wrote reviews and special articles for the Spectator (of which she was for some years the theological editor), and later for Time and Tide. 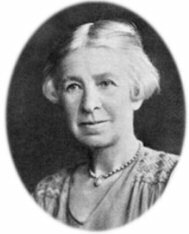 In 1913 Evelyn Underhill became an honorary fellow of King's College of Women and in 1927 fellow of King's College, London. In 1939 she received the honorary degree Doctor of Divinity (D.D.) from the university of Aberdeen. She is remembered for her lively personality and keen sense of humor. In her dealings with people, and especially with her pupils, she was always a little shy, having a great hatred, as she said, of "pushing souls about." This love of souls coupled with the determination to help them to grow at God's pace and not at their own or hers, won her the love and trust of all who went to her for help. Evelyn Underhill died at Hampstead on June 15, 1941. She had no children. She is commemorated in many churches of the Anglican Communion on June 15. The Anglican Library, copyright 2015.